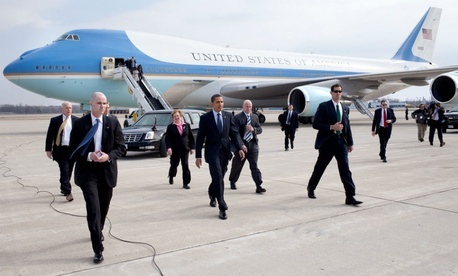 Did Budget Cuts Cause the Secret Service Failures? Morale Problems? What Would Your Employees Do? On Friday, at the end of a tumultuous week for the Secret Service, two key House lawmakers wrote to Homeland Security Secretary Jeh Johnson seeking to steer his coming independent review of recent lapses in protecting the president. During an angry oversight hearing Sept. 30 that prompted the resignation of Secret Service director Julie Pierson, “committee members expressed bipartisan apprehension about a series of dangerous security breaches over the past several years, as well as troubling reports involving protocol failures, technology lapses, training reductions, and internal cultural issues that may discourage agents from reporting security concerns to their superiors,” wrote Reps. Darrell Issa, R-Calif., and Elijah Cummings, D-Md., leaders of the House Oversight and Government Reform Committee. The lawmakers said they want Johnson’s outside panel to examine “the full range of management, personnel, training, and cultural issues that contribute to the root causes of these security failures.” The panel should also examine how the Secret Service communicates to Congress and the public, they said. Not mentioned in the letter was any examination of the Secret Service’s budget. Whether recent lapses that put President Obama and his family at risk were related to inadequate resources, however, was clearly a bone of contention at Tuesday’s hearing. The beleaguered Pierson said the Secret Service essentially was operating with 500 fewer full-time employees than optimal, and that she had been forced to shuttle agents in from other posts to cover the White House. “I see the difficulty in trying to operate a critical federal agency in times of fiscal constraint,” Pierson said. “Congress has to take some responsibility,” said Del. Eleanor Holmes Norton, D-D.C., raising the subject of budget cuts and sequestration. “You’re not going to tell us that sequestration is the reason your agents didn’t find evidence” of bullets striking the White House for several days, Rep. Trey Gowdy, R-S.C., demanded of Pierson, referring to shots fired at the White House two years ago in an incident initially dismissed by an agency supervisor as a backfiring car. A review of Secret Service budgets and interviews by Government Executive suggest that while the agency might well benefit from a larger budget, the agency’s procedural violations and misrepresentations have more to do with leadership and culture than funding. But even with the budget as a contributing factor, the executive said, “The White House fence jumper shouldn’t have happened. An alarm goes off when someone jumps the fence, when they hit the ground, and the plans and procedures are there,” he said. When it comes to what to spend on the Secret Service, the two parties’ roles appear scrambled. It was the Obama budget in fiscal 2014 that proposed cutting 376 full-time Secret Service Employees, as Rep. Mark Meadows, R-N.C., noted at the hearing. House appropriators actually increased the budget that year, scolding Obama in a report. “The fiscal year 2014 budget request for DHS proposes to not only reduce the immediate resources of the department’s most critical frontline components, it proposes to substantially diminish the long-term security capabilities of our nation,” it read. Those same appropriators, however, withheld money due to alcohol-related lapses in professionalism in May 2014. “The committee is deeply disappointed by recurring allegations of misconduct within the Secret Service, including recent allegations of improper behavior by Secret Service agents in the Netherlands,” it said. And the overall budget—currently at just over $1.8 billion, three quarters of which goes to salaries, was a bit higher in 2011 than it is today, as noted in a chart published Oct. 1 by The Washington Post. For fiscal 2015, Obama requested a $56 million increase in funding for the agency, to nearly $1.9 billion. A June 2014 Congressional Research Service report raises no concerns about the size of the Secret Service’s budget. “Recently the Service has increased its efforts in cybersecurity and its protection activities due to certain events, such as the terrorist attacks of September 2001 and the wars in Iraq and Afghanistan,” it said. “Due to evolving technology and tactics used in crimes—including financial, cyber, terrorism, and attempted assassinations—USSS has had to evolve. As the cost of this law enforcement increases, and the number of protectees increases (at least during presidential campaign election years), the Service is continuing to balance and fulfill its two missions” of investigation and protection." Morale within the Secret Service appears to have declined. In its Best Places to Work in the Federal Government study, the nonprofit Partnership for Public Service found that Secret Service employees’ overall satisfaction rates were 226th out of 300 governmentwide. The percentage satisfied, as high as 66 in 2011, is now only 52.8 percent.